Hello I was given your address from the dating website. I attach to the letter picture. I believe you like photography. Do you enjoy me? Friends call me Tatiana. My age is almost 35 years old. I believe that you a good guy. I know that currently many woman find real love in the World Wide Web. Therefore I wanted to employ this way too. I interested in you, and I wanted to meet you. Who can know, maybe we are each other's destiny? As another men and women on the Internet. I should to especially single out that I am exclusively looking for a deep attitudes. I not looking for exclusively games, a virtual romance. I don't will to waste a minute on this. All I want is to meet man with which I can find happiness all rest of life. I beg you say me more info about you? If you have latest picture, I would like to see their. Subject: Hi my new mate. The real owner of the stolen picture used is Kylie Jenner. 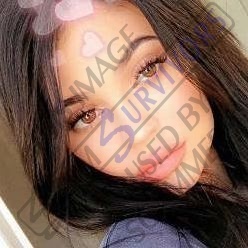 Her stolen pictures are also reported on our forum for being used in blackmail scams/sextortion, see viewtopic.php?f=20&t=25688. Ich bin eine einfache Senioren. Es scheint mir, dass Sie nur eine gewöhnliche Herr sind. Dann werden wir einen Dialog führen. Ich bin schon 35 Jahre. Ich will glauben, ich bin nicht alt für dich? Männer schauen immer auf junge Damen. Sage ich das Richtige? Es ist traurig, in meinem Alter allein zu sein. Bist du verheiratet? Hast du eine Lieblings Madame? Es gibt keinen Ehemann. Keine Kinder. Und du? Sag es mir. Bald zum Valentinstag wäre es großartig zu finden sie ihren zukünftiger Partner. Glaubst du nicht? Ich werde dir jetzt nicht viel sagen, um nicht wie ein Idiot auszusehen. Aber wenn Sie unseren Dialog fortsetzen wollen, werde ich glücklich sein. I am a simple seniors. It seems to me that you are just an ordinary gentleman. Then we will have a dialogue. I am already 35 years old. I want to believe I'm not old for you? Men always look at young ladies. Am I saying the right thing? It's sad to be alone at my age. Are you married? Do you have a favorite Madame? There is no husband. No children. And you? Tell me. Soon for Valentine's Day it would be great to find her future partner. Do not you think? I'm not going to tell you much now to avoid looking like an idiot. But if you want to continue our dialogue, I will be happy. Ich bin eine normale Senioren. Ich hoffe, dass Sie nur eine einfache Mensch sind. Dann werden wir eine Diskussion bekommen. Ich bin 35 Jahre. Ich will glauben, ich bin keine alte Frau für dich? Herr achten immer auf Mädchen. Sage ich das Richtige? Es ist traurig, in meinem Alter einsam zu sein. Bist du einsam? Hast du eine Lieblings Madame? Es gibt keinen liebe Freund. Keine Kids. Und du? Erzähl mir. Bald zum Valentinstag wäre es großartig zu finden sie ihren zukünftige liebe. Glaubst du nicht? Aber wenn du mir antwortest, werde ich glücklich sein. I am a normal senior citizen. I hope you are just a simple person. Then we will get a discussion. I am 35 years old. I want to believe I'm not an old woman for you? Lord always pay attention to girls. Am I saying the right thing? It's sad to be lonely at my age. Are you lonely? Do you have a favorite Madame? There is no dear friend. No kids. And you? Tell me. Soon for Valentine's Day it would be great to find your future love. Do not you think? But if you answer me, I will be happy. The stolen picture received with the message is the one reported above. Hi stranger. I was given your e-mail from the marriage site. I attach to the letter my picture. I think you love picture. Do you enjoy my face? I am Tatiana. I am 34 years old. I hope that you're a good guy. I know that now some people get acquainted with partners on the global network. That is why I decided to use this method too. I liked you, and I wanted to get to know you. Who can know, perhaps we are each other's destiny? Like other people on the Internet. I should to emphasize, that I solely interested a deep relations. I'm not looking for exclusively games and a virtual flirtation. I do not intent to miss a minute for this. All I dream is to meet man with which I will create a family in perpetuity. I beg you tell me more info about your interests? If you have the new photography, I would gladly have looked them. I 'll anticipate with impatience for your email. Tatianushulya. Along with a reversed image posted by Firefly on 2/4/19 above. Hi there my great friend, I was given your electronic mail from the marriage agency. I send my image. I believe you enjoy picture. Do you like me? My name is Tatiana. My age is almost 35 years old. I think that you a good man. I found out that presently people find real love in the global network. And I wanted to apply this way too. I interested in you, and I decided to get acquainted with you. Who can know, maybe we have a chance? How another men and women on World Wide Web. I should to especially single out that I am only looking for a deep relationship. I'm not looking for only in chat, a virtual flirting. I do not want to waste time for this. All I desire is to meet someone with whom I can be happy in perpetuity. Please tell me a little info about your life? If you have the latest image, you may send me it. I shall look forward for your response. Tatianuska!